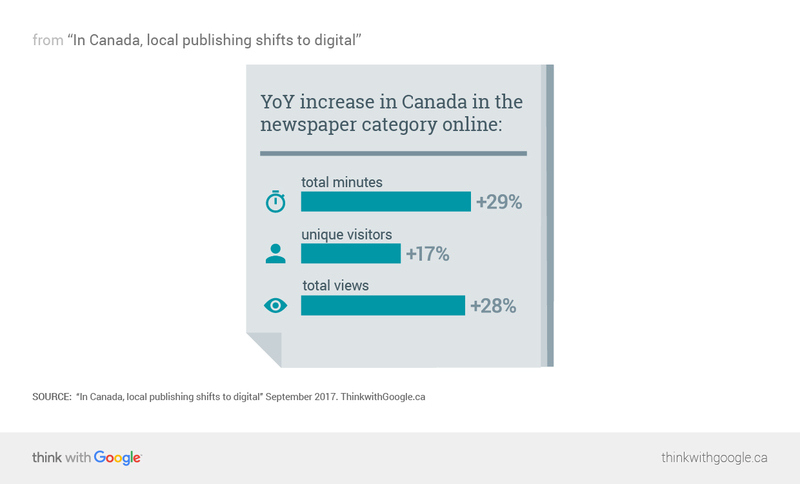 Canadians have relied on print journalism to get their local news for decades. As audiences shift to digital, we spoke to Jeff Elgie, CEO of Village Media, about what the future of local journalism looks like and how advertisers can adapt. Local journalism has been a staple in nearly every town and city in Canada for generations—and now the landscape is changing rapidly. Print journalism is going through a transition as readership moves online, and newsrooms of the future, such as Village Media, are doing their part to keep up with changing behaviours and build a home for local journalism. The readership for news is there—and online platforms are unlocking effective new ways for advertisers to connect with local communities. Jeff Elgie, CEO of Village Media, spoke with us about the evolving nature of local publications in Canada and what the new landscape means for readers and advertisers alike. What trends are you seeing in local journalism? Is there a market for local news? Elgie: There are a lot of people out there who are interested in local journalism—they’re just finding it through different channels. Instead of going to a print newspaper or even to local TV, they’re going online. People still care about what’s going on at their city council, in the courts, with the school board, what new businesses are coming to the area, reading local obituaries, and more. So is there a market for local news? Absolutely. I think the trick is to find the channel where everyone's looking for that journalism and then figure out how to wrap a business model around it. How is the industry in Canada evolving to keep up? Elgie: In the small markets, almost all the dailies have gone online because that’s what their audiences are doing. They often post all their content online the day before the print version comes out, without any paywall or subscription revenue attached. The widespread availability of this local content online is accelerating the decline of print. SooToday, our first and largest site, started about 15 years ago as a digital company providing classifieds, maps, and business directories for smaller towns. As the audience online has grown, so have our offerings. We’ve since launched several local news sites, including BayToday.ca, TimminsToday.com, and GuelphToday.com. All the content we create is local. We employ a fleet of local journalists who create and publish local news content, weather, classifieds, and obituaries. We subscribe to a wire service that we use for things like national news, world news, sports. All that national content makes up just 2.2% of our total views across the entire network. So we’re very much “hyper” local. How do business models of online news platforms like yours work? Elgie: Any online news platform like ours needs to operate leanly and efficiently, avoiding large fixed costs and ensuring that technology can simplify the publishing process and amplify content. At Village Media, we are “born digital,” so everything from our sales team to our reporters to the way we operate the business is constructed with a digital model. To that end, all our content is available online for free. It’s our belief that reaching the largest possible local audience allows us to best connect a community, and following that, advertisers. Because 98% of our content consumed is local, we invest heavily in local journalists to establish real ties with the community. There’s a very clear connection between how many journalists we employ in a community and how large our audience is in that community—and then how much advertising inventory we have available. So journalists are our #1 investment. “We tell advertisers that the same audience exists—they’re just online now." How do you help more traditional advertisers transfer their plans to digital? Elgie: Some small businesses are still very new to digital and to buying digital ads. They are coming up the curve quickly, and that’s partly because of what Google is doing. We have sales teams that coach advertisers through digital—and not even just our own product but digital in general. We help them answer questions like, "How do we make this work in a digital environment?” “What are the benefits?” “How do we use this differently?” and “How do we measure value out of this?" If you look at why someone might have advertised in the local newspaper, it’s because they wanted to connect with their local community, right? We tell advertisers that the same audience exists—they’re just online now. 1 ComScore Media Metrix Multiplatform, Canada, May 2016–May 2017.